American Wholesale Property: Las Colinas High End Flip! Las Colinas High End Flip! 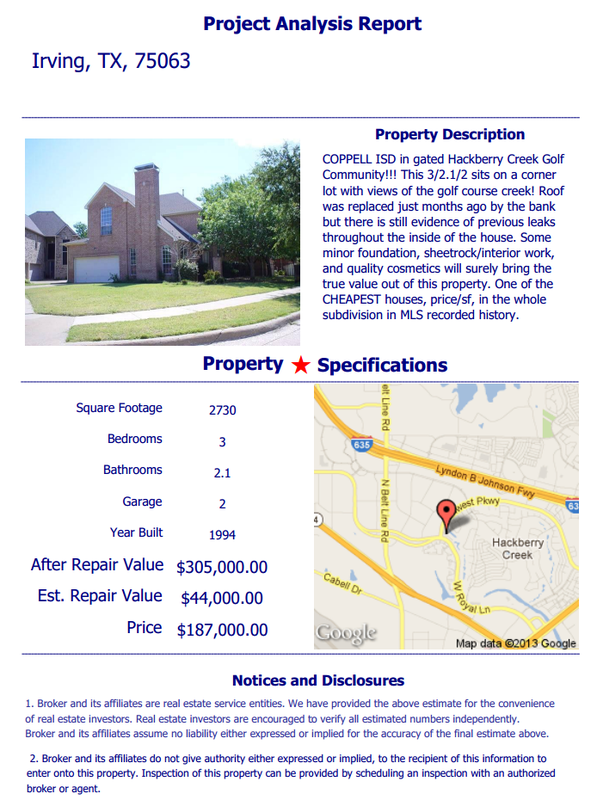 COPPELL ISD in gated Hackberry Creek Golf Community!!! This 3/2.1/2 sits on a corner lot with views of the golf course creek! Roof was replaced just months ago by the bank but there is still evidence of previous leaks throughout the inside of the house. Some minor foundation, sheetrock/interior work, and quality cosmetics will surely bring the true value out of this property. One of the CHEAPEST houses, price/sf, in the whole subdivision in MLS recorded history.